Taking care of your hair doesn’t mean just go to a hair stylist every once in a while, but also prevent its problems and boost it from time to time with some vitamins. The same principle applies to your nails also, especially if your body goes through some changes or you are simply on a strict diet. Hair, skin and nails have a better reaction to some vitamins that sustain the keratin production. As keratin is the protein that builds hair and skin, it’s important to support its activity at times. One of the amazing things on our body is that is constantly producing millions of skin, nails and hair cells. Raw materials from food are daily transformed into keratin, the strong protein that is the main support for hair, nails and skin. If genetics have a big say on your hair’s color, how your skin and hair ages, how they are as texture, it’s the environmental factors (exposing yourself to tobacco smoke and sun, drugs, medication, nutritional deficiencies) that have a major influence on how your hair, nails and skin actually look at some time. The activity of nails is related to the sweat glands, whereas hair is actually more of an accessory structure of your skin. Hair is a non-living tissue that has the second fastest tissue growth rate in the body which is why it depends on the growth cycle in order to benefit of the nutritional solutions that skin has already took. A balanced diet should provide enough vitamins for your hair and nails and it should contain vegetables, low-fat dairy products, whole grains and… minimum intake of sugar and fat. Don’t hesitate to eat colorful vegetables and fruits so that you can get all the minerals, vitamins, antioxidants and phytonutrients that your body needs. When, for some reasons, this diet is not enough, you should consider a supplementary intake of the following vitamins. When the vitamin B12 is very low, you experience hair loss (mostly women), anemia and a pale skin. As we age, our body loses its ability to use B12 and vitamin B12 deficiency is a common thing. A simple blood test tells you how you sit on your vitamin B12 level. Just to play it on the safe side, the entire B-complex vitamin is fundamental for the health of your hair and nails. Vitamins B3, B6 relate a lot on how your hair looks or grows. The well-being of your hair and nails is also related to the antioxidant vitamins, like vitamin C, A and E. If taking vitamin C is quite common, pay attention for the vitamin A intake as too much of it makes the nails brittle and fragile. You may find the antioxidants also in brightly colored fruits and vegetables, like blueberries, spinach and pomegranate. Always pay attention to the intake of vitamin E and A as they may build up toxic levels in your body. Vitamin H, also known as biotin is useful in case of brittle nails. A well balanced diet should give you enough biotin, but you can boost it with eggs, dairy products, Swiss chard, nuts, chicken and whole grains. 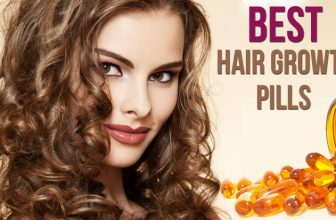 Most hair and nail vitamins reviews talk about how essential fatty acids are also important for the beauty of your hair and nails. Omega-3 and Omega-6 fats lower inflammation and are good for the health of your skin and hair. As Zinc is not a vitamin, but a mineral, we shouldn’t mention it here. But it has a big word on your general health as it supports the immune system and the entire metabolism. No matter your choice, you should always talk to your doctor before any intake or a natural health expert. 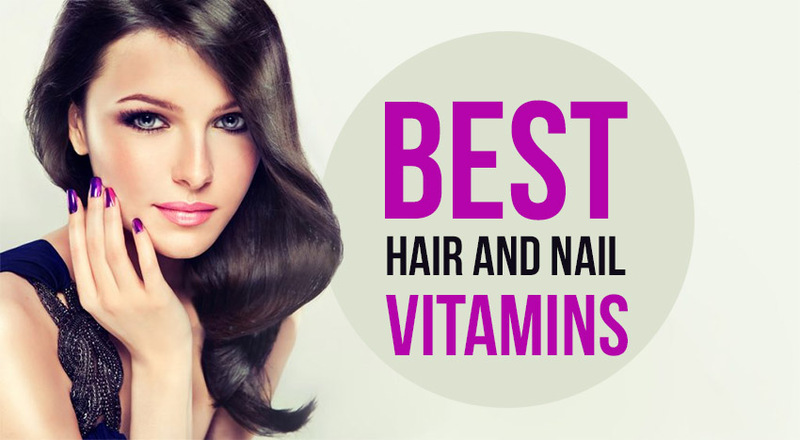 Nobody can point you what are the best hair and nail vitamins, but they can sure decide which might work better in your case. Some supplement formulas work better for skin, others for hairs. Some liquid vitamin, along with a well thought out combination of essential vitamins, some fish oil or flaxseed oil supplement may be a great way to begin with. Never keep out of mind that a sudden change of your hair/skin/nails or a sudden hair loss may actually be a symptom of an illness. Diabetes, anemia relate to discoloration on your nails, whereas sudden hair loss, weight loss and minimal menstruation may be a sign of a sick thyroid. The healthy your hair and nails look, the healthier you actually are! 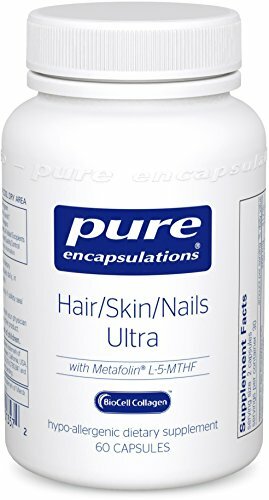 The Pure Encapsulations – Hair/Skin/Nails Ultra are a hypo-allergenic dietary supplement that are able to support your skin’s elasticity, hydration, your hair’s health and makes your nails stronger and thicker. The vitamins contain Vitamin C, copper, zinc, manganese, silica and are great for the health of your hair, skin and nails. The PureWay-C is a fast absorbed enhanced retention vitamin C and improves your skin resiliency and fights the effects of oxidative stress during a release of CoQ10 complex. The active ingredients from grape see extract stabilize collagen and elastin and improve the proteolytic enzymes collagenase and elastase. BioCell Collagen TM is patented and helps on the matrix of hyaluronic acid and other structural components that relate to the flexibility and elasticity of skin. In a nutshell, the vitamins make your hair thicker, your nails stronger and your skin younger looking. The vitamins are also gentle on your stomach and easy to swallow. Despite the minor cons, the vitamins are still efficient and work for many of us out there. The vitamins It Works! Hair Skin Nail are able to make your nails stronger, whereas the skin becomes softer and smoother. Your hair regains its shiny appearance. The package contains essential vitamins, minerals, plant-based nutrients. The vitamins support your own natural collagen and keratin production and also ensure healthy cell growth. They are able to improve your body’s free radical fighting defense just as well. The vitamins strengthen and thicken current hair, and are limited in case of total hair loss. They moisturize and sustain your skin in getting its elasticity and flexibility back. The vitamins are efficient and make your hair shine again. The package contains supplements for a whole month. It’s better to take them during the day, when you feel you need to boost up your energy level. As they are efficient and bring immediate improvements, they are a good choice to consider. 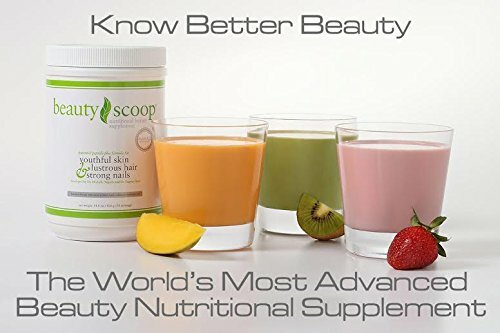 The Award-winning Beauty Scoop – Skin, Hair, & Nails Supplement is developed by doctors and is patented. The supplement is also clinically-proven and is an advanced nutritional supplement that improves brittle nails, thin hair and dry, wrinkled skin. The BeautyScoop bypasses delayed or slow absorption that sometimes happens with food, bars and pills. The supplement comes as a pure powder that delivers fast, easy to see results. Its risks are minimum. It contains soy and milk and it’s manufacturing might involve products containing eggs, wheat, shellfish, tree nuts, fish oil and peanuts. The supplement is efficient when your nails are breaking, splitting, contain ridges or grow very slow. You should take it if your hair is dry, dull and has no luster. When your skin starts to show fine lines and wrinkles or dry patches, the supplement is a good choice also. You can mix one level scoop into a hot or cold beverage and drink within half an hour. If you take it daily in the beginging, in time you’ll only get to take it as much as twice a week, as a result of the vitamins. Despite the cons, you should give it a try as the supplement seems to be efficient in so many situations. Some were impressed by how fast their hair got to grow and how thick it become after start using this next product. 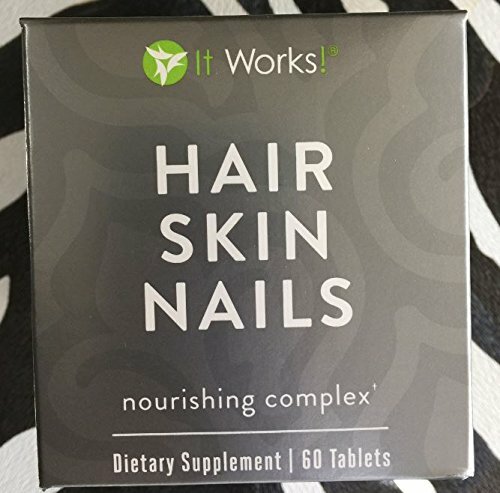 The Healthy Hair, Skin & Nails 500 Capsules has a one-of-a-kind combination of nutrients and high levels of Biotin, that is so efficient when it comes to the growth of healthy nails, hair and skin. The capsules are made with 100% solar energy as the manufacturer really cares about our Planet. There are no artificial additives, fillers or colors and the vitamins are 100% natural. The formula provides 4,000mcg of Biotin that improves so much and so fast your hair, nails and skin. The product also contains high levels of Sulfur from MSM as Sulfur is important to the structure of our skin, nails and hair. Silicon from natural bamboo is also on the list of ingredients. Efficient right from the beginning, the formula helps your hair grow, thicken and your nails get stronger. Apart from the price, we have no comments to make. The formula works and you can see results from the first month of use. 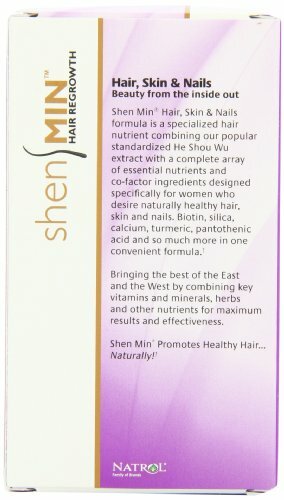 When you want thicker, fuller hair, you can give it a try with the Shen Min Hair, Skin & Nails, Women. The supplement is able to make your nails stronger and give a nice appearance to your skin also. this is a 3day supply, with herbal blend. The formula contains MSM to support efficient protein production, L-Cysteine to help integrity and Glutathione for lowering the damages from free radicals. The Pyridoxine (Vitamin B6) support the metabolism of amino acids and proteins. The supplement contains biotin, silica, turmeric, pantothenic acid, calcium and they all work to give back the health to your skin, nails and hair. You should take this three times a day, with a meal. The supplement doesn’t contain yeast, wheat, egg, artificial colors, flavor or any preservatives. Despite the cons, the formula is efficient, reliable and you need to give it some time until you see the results. When you find yourself sitting on a fence and don’t know if you should pay more for some vitamins, hoping to get higher quality, take a leap of faith and get yourself something that is in the middle: not the cheapest, not on high-end price, but goo quality nevertheless. 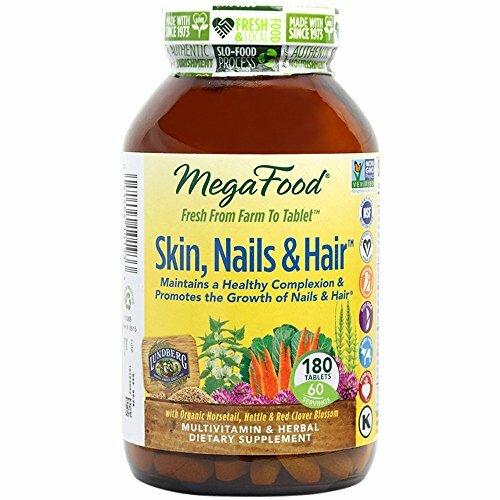 The MegaFood – Skin, Nails & Hair, Promote Clear & Radiant Skin Plus Healthy Hair contain hormone balancing and purifying herbs that ensure clear and nice skin. The supplement contains not only mineral-rich herbs (and there are so many various ones!) but also FoodState nutrients that make your hair and nails stronger and thicker. The process used to manufacture the supplement is slow and the ingredients are pureed and dehydrated afterwards carefully so that the final combination contains only the very best out of the natural ingredients. The supplement gives you essential vitamins and minerals that are gentle on your stomach and this is why you can also take it on an empty stomach. The supplement is a product of MegaFood that makes vitamins from scratch, with farm fresh whole foods from family-owned farms. You get to see in time how your hair and nails thicken and get stronger. Your hair shines and grows faster, just like your nails grow. All in all, as they are natural and efficient in so many cases, the vitamins are a reliable option at times. 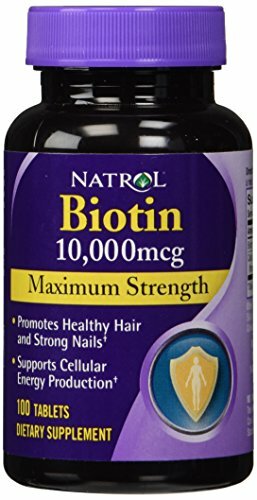 When you’re short on a budget, but still want to give back your hair and nails their health, the Natrol Biotin 10,000 mcg Maximum Strength Tablets are a good and pretty efficient choice. As they are made in our USA, the supplement is full of ingredients that sustain your hair and nails health. Natrol Biotin helps your hair grow faster, thicker and shinier. The same thing applies to your nails also. the supplement is a water-soluble B-complex vitamin and Biotin is well known for improving cell growth and the production and the metabolism of fat into amino acids. Natrol Biotin gives 10,000mcg of what your body needs in a day. The supplement is 100% drug free. The tiny pills are easy to take and gentle on your stomach. All in all, for the good quality it gives for such a small price, the vitamins are a reliable option for any tight budget. 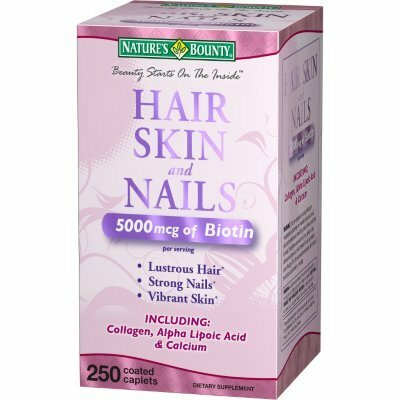 Showing immediate results for your hair and nails, the Biotin (High Potency) 5000mcg Per Veggie Softgel is very efficient and easy to take. 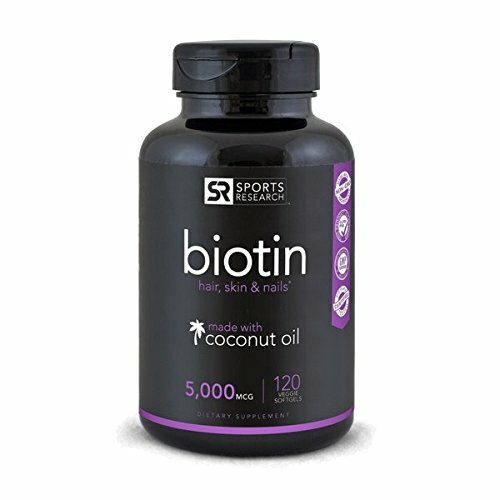 The supplement contains Biotin 5000iu in cold-pressed Organic Coconut Oil. All studies reveal how Biotin improves the health on hair, skin and nails. Biotin is a B vitamin that is responsible for cell growth and the metabolism of amino acids and fats. It’s able to improve your hair’s density as it increases the size of the hair follicle. Your hair and nails grow faster and thicker. The supplement is Non-Gmo, meaning it’s formula is with no Gluten, preservatives, soy or stearates. The formula contains Organic coconut oil which enhances the efficiency of the Biotin. You can take the supplement once a day with a meal. The soft gel looks good and has a nice smell also. You may see improvements on your hair and nails growth right after a month of use. But, if you can get over the minor cons, the supplement might surprise you as your hair and nails grow and thicken right away. The market is full of responsible manufacturers that are constantly trying to create better, healthier products all the time. If you want to go right on spot with some vitamins, try the something from Nature Bounty. Not only they have a reasonable price, but they come in so many various forms, flavors and ingredients. For instance, the Nature’s Bounty Extra Strength Hair Skin Nails is able to make your hair shiny again and the vitamins make your nails stronger. The vitamins contain Collagen, Alpha lipoid acid and calcium. The coated tablets give a well thought out combination of nutrients that are always found in healthy hair, skin and nails. The supplement doesn’t contain milk, lactose, gluten, wheat, sugar or any preservatives. It does contain though vitamins A, C, D, E, B1, B2, B6, Niacin and more. You don’t need to take any other supplements as they also contain Iron, calcium, zinc and magnesium. Despite the minor cons, the supplement is a good example on how Nature’s Bounty manages to create efficient, reliable supplements for various problems. 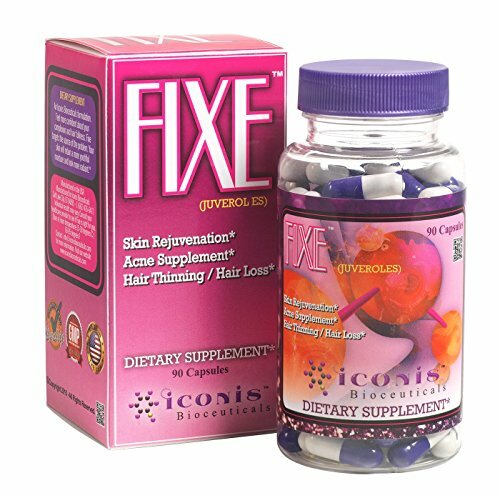 If you are struggling not only with some hair loss, but also with acne, you can give it a go with the Iconis Bioceuticals – FIXE (JuverolES). The formula contains efficient supplements that brighten your skin and give your hair and nails a boost just as well. 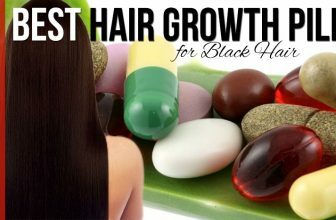 We find 300mcg Biotin in the supplement, which is responsible for the growth of your hair and nails. We also see Flax seed powder which minimizes skin inflammation, saw palmetto extract that lowers DHT levels. The Soy isoflavones neutralizes androgens, responsible for acne. The supplement fights breakouts from the inside as it balances hormones and minimizes inflammation. It works against hair thinning and protects hair follicles from damaging. The supplement preserves the skin moisture and improves collagen production. The capsule is not difficult to take at a meal. The supplement minimizes the unwanted hormones that cause acne and hair loss. All in all, when you want to have beautiful hair, nails and solve your acne problems with just one products, this supplement might be a solution. The Phyto Phytophanère Hair and Nails Dietary Supplement are a great option when in a hurry and don’t want to spend much time on reading reviews or checking with your current doctor. The supplement contains the much praised Biotin which ensures growth of hair and nails, making them stronger, thicker and healthier-looking just as well. The supplement gives you hair a nicer appearance, supports stronger nails and works on skin also, giving it a healthy glow. The supplement has a perfect balance of essential fatty acids, vitamins and antioxidants which all work for thicker, fuller and shinier hair. It’s important to know that there are no parabens, sulfates or phthalates in this supplement. It’s best to take it twice a year, in the fall and in the spring when the hair fall is more likely to happen. For best results, you should use Phyto shampoos and treatments for thinning hair at the same time. The supplement is efficient in case of hair loss, not only on improving the appearance of your hair. The pills are rather small and easy to take. The have a good taste and you should wait some time until you see the results. Apart from the cons, the supplement is a great option over the counter for your hair and nails problems. 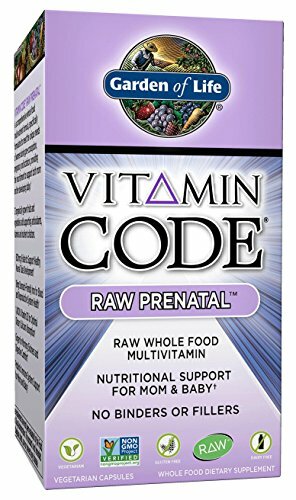 As it’s always better to check it with your OB before taking anything during your pregnancy, paly it on the safe side with some supplement like the Garden of Life Vitamin Code Raw Prenatal. All pregnant women experience hair loss problems and nails issues, especially after the baby is born and Biotin, the most efficient vitamin to fight against these problems must be taken wisely. The vitamins are organic, non-Gmo and contain only natural ingredients that are also able to improve your hair and nails problems. The vitamins work on your immune system and also on your baby’s health, even after birth. The vitamins ensure healthy digestion as they are smooth on your stomach and help as they contain Probiotics, ginger, vitamin D and zinc. They are efficient when it comes to any digestive discomfort also. As they also contain Iron, vitamins C, E and B-complex and Folate, the vitamins improve the health of your heart and blood just as well. It also works on your skin health thanks to the vitamins A, C, Copper and Iron. The 800mcg of Folate help with the health of neural tube development. The vitamins are raw, vegetarian, gluten-free and dairy-free. And, let’s not forget your hair and nails that also benefit from the vitamins intake. 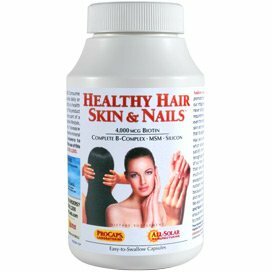 All in all, for this period of your life, the vitamins are a reliable and efficient solution for your hair and nails problems.